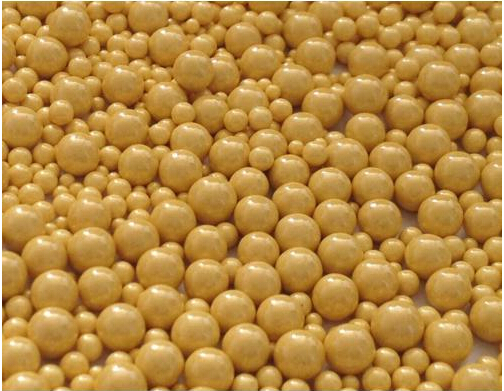 Ceria Stabilized Zirconia Bead,CS60000-3,Ceria Stabilized Zirconia Bead,China Southern Advanced Ceramic Technology Co., Ltd.
China Southern Advanced Ceramic Technology Co., Ltd. Intensity of high hardness, wear resistance, and applicable to all types of high shear energy sanding machine. Ceria stabilized zirconia grinding the proportion of referrals is the grinding of zirconia referred the largest (based on customer needs the production of products 5.5 ~ 6.20 g/cm3), from the dynamics in terms of (EC = 1/2mv2) if the use of ceria polishing equipment stabilized zirconia grinding can be referred to a larger impact energy, thereby enhancing production efficiency; especially for high viscosity or abrasive products with high solid and easier to show its advantages. The low viscosity of the product, as a result of the option at a fixed volume of the smaller Ce-stabilized zirconia abrasive grinding surface area increased referrals, and then grinding to obtain better results. Micro-structure of delicate, uniform, dense ceramics of the Quartet, it has a gem-like hardness and density, is a series of grinding all the zirconium-mediated a most Shen. Its excellent wear resistance and fracture toughness is particularly suited for high-solid-phase high-viscosity, high hardness of the paste for grinding and dispersion of pure; good match at the same time high input energy and the high shear machine sanding.